Deal Categories: Fat Burners and Energy.Stores: DPS. The Ketogenic Diet Is A Low-Carb, High-Fat Diet Which Is Designed To Put Your Body In A Metabolic State Called, Ketosis. 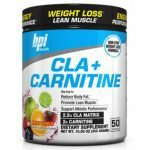 Deal Categories: Fat Burners and Energy.Stores: A1Supplements.com. 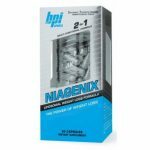 The price for 2 tubs BPI Sports Niagenix (60 caps) drops to $24.99 at A1Supplements. Shipping adds a flat $5.99. Even with that, this is the lowest price we could find by $27. You can mix & match flavors. Buy Nova Forme CytoGreens For Athletes (30 serv) & get one FREE for $39.99. This is the best total price we saw by at least $26.